I don’t know why, but this outfit gives me major 70s vibes in the best way. 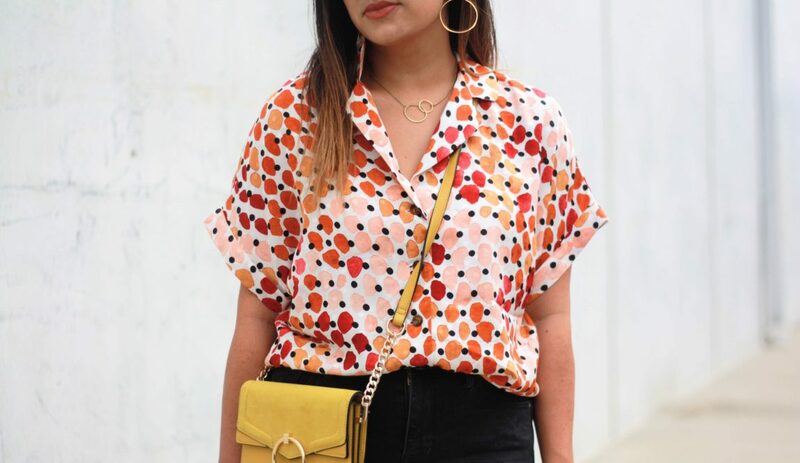 Whether it’s the print of this blouse, the open neckline, the mules [which Mike calls my Chevy Chase shoes], or the bold pop of color from the bag [which you last saw here], I’m super into it. I’ve been loving shopping at Mango lately and this top immediately found it’s way into my cart. It even comes in a dress option! I know I’ve been styling a TON of spotted pieces lately [like this and this], but I truly can’t help myself. Despite the bold design, I find these pieces can be so versatile when mixed and matched with other basics. 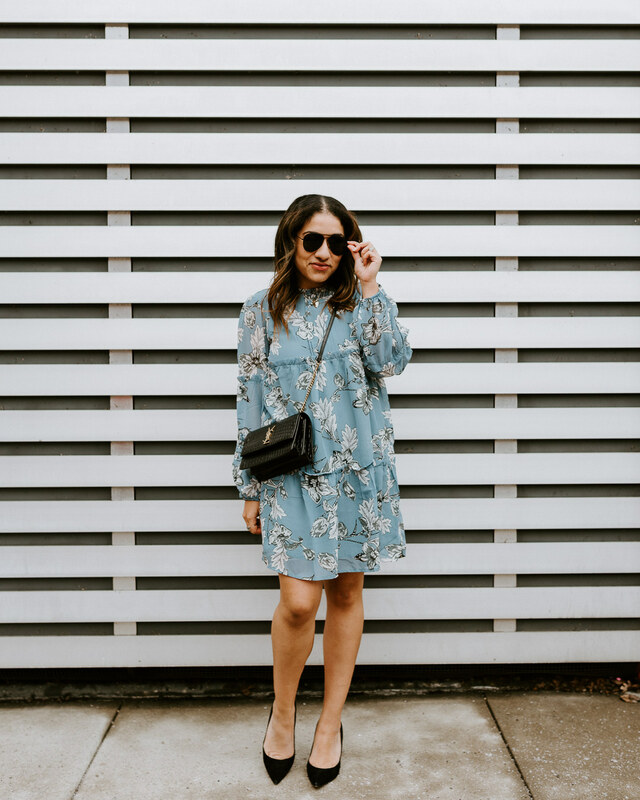 I definitely will re-wear this with regular jeans and a leather jacket, tucked into a pencil skirt for work, and it would even be so cute with white jeans next summer!